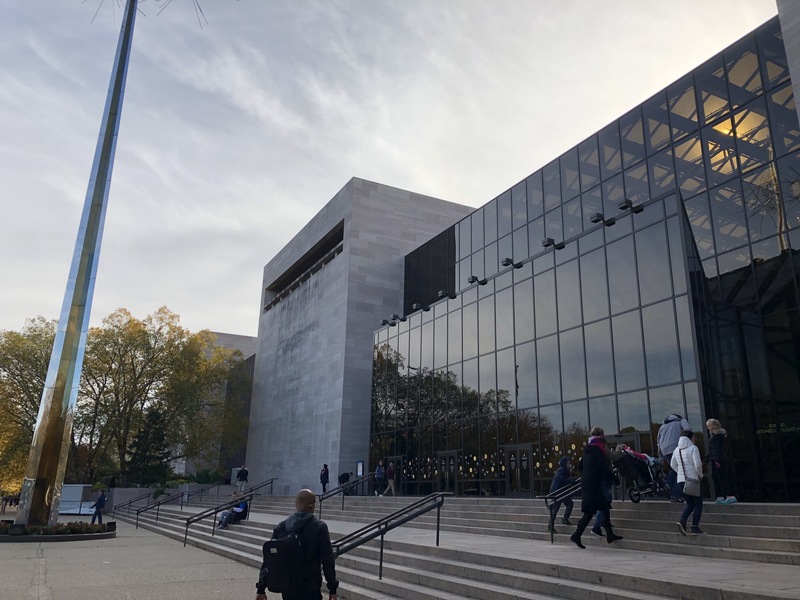 I mentioned in a previous post that the last time we were in Washington we visited almost every Smithsonian. For some reason, the Air and Space Museum was not on our list. This is probably because my desire to see objects from space didn’t really develop until after we visited the Kennedy Space Center. To this day, I still haven’t experienced anything quite like seeing the Atlantis Space Shuttle. It continues to give me goosebumps. 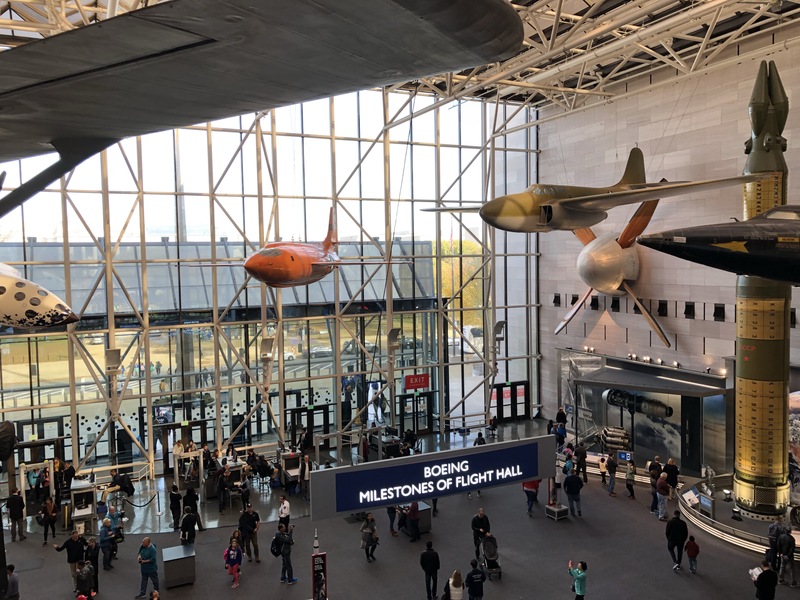 With this in mind, we made sure to fit the Air and Space Museum into our schedule. The day before we visited the National Museum of American History. There are both strong positives and criticisms about this museum I want to cover before delving into Air and Space. This museum has an incredible collection of objects ranging from Dorothy’s Red Slippers to the Star Spangled Banner. If you focus solely on the objects, you’ll probably enjoy what’s on offer. One of my favourite displays was actually in the lower level cafeteria. 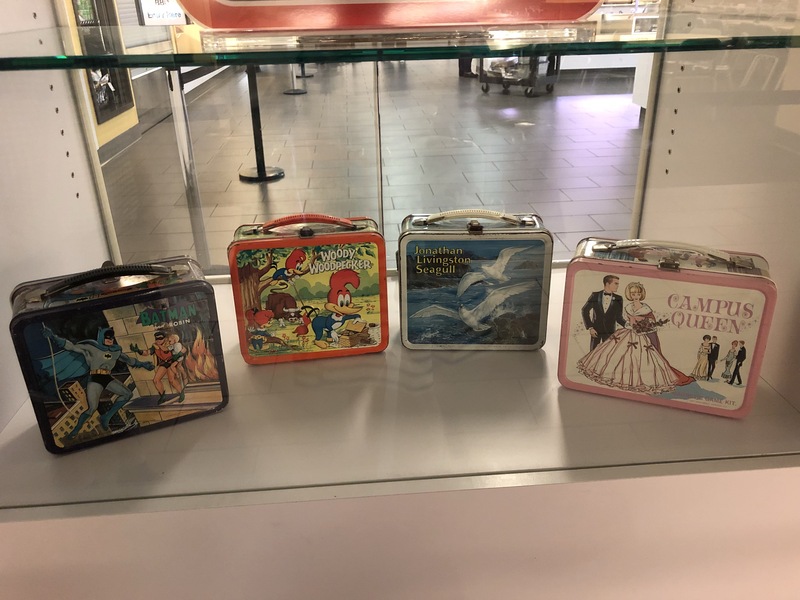 There was a small exhibition on children’s lunchboxes throughout the ages. I loved seeing the really early examples from the 1910s and 1920s. The little wicker baskets were absolutely adorable. 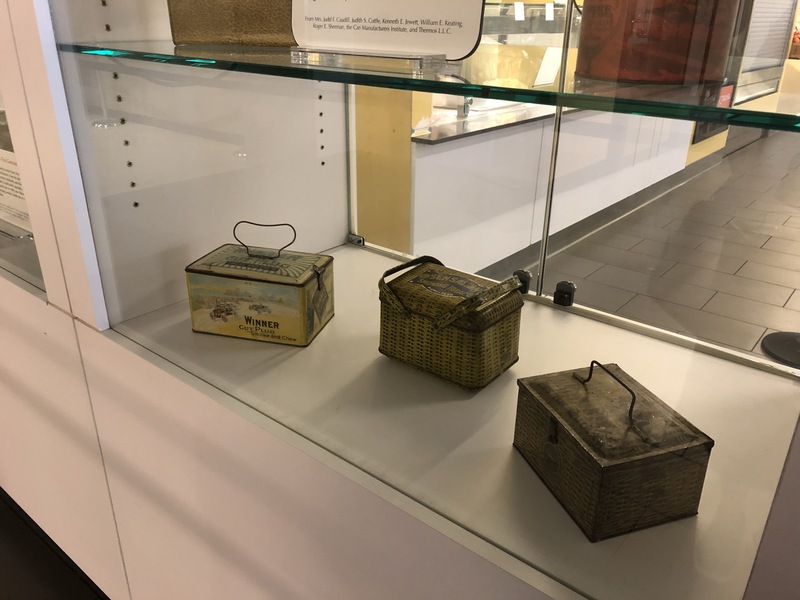 There was also an attempt to link the lunchboxes to wider historical moments and trends. 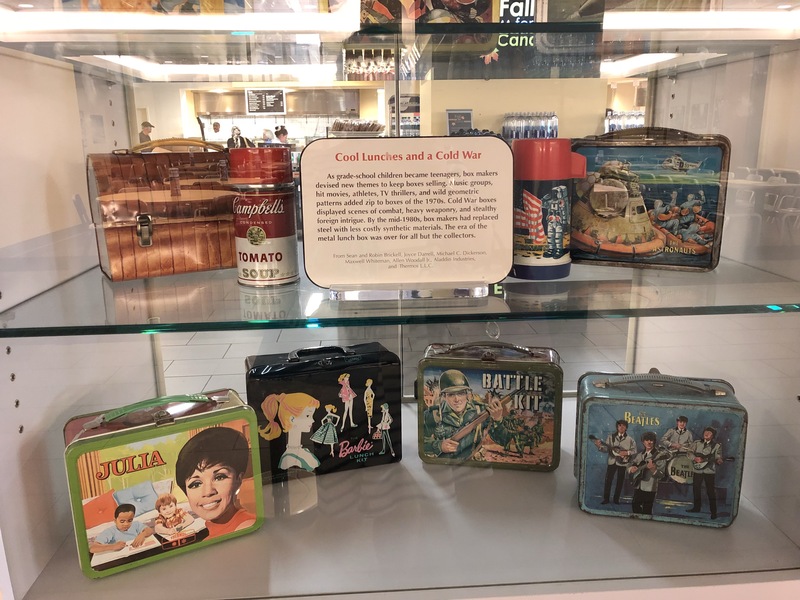 For example, “Cool Lunches and a Cold War” explored how lunchboxes reflected the Cold War period. New designs were released showing combat scenes and the traditional steel box was slowly replaced by synthetic materials. Highlight lunchboxes included The Beatles and The Astronauts. We were also captivated by a small temporary exhibition on medicine in World War I. 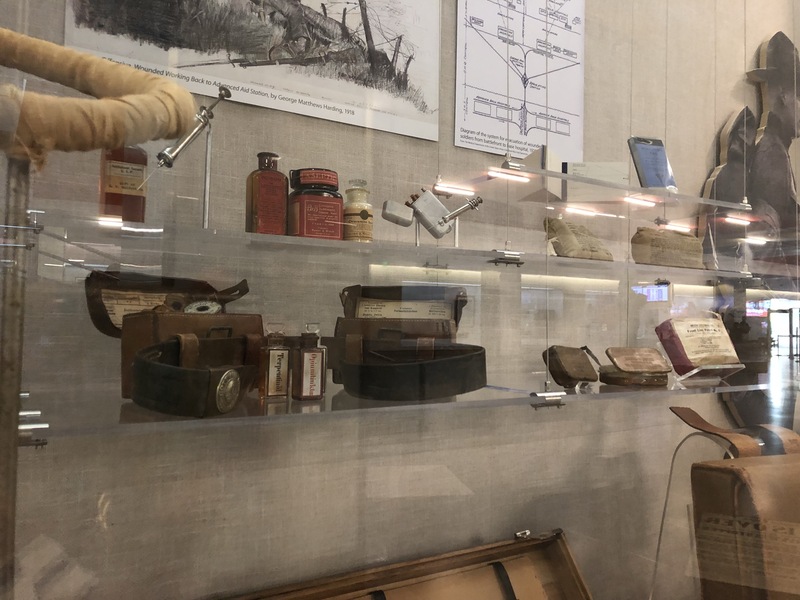 The introductory panel reminded visitors of the medical innovations that came out of the War. 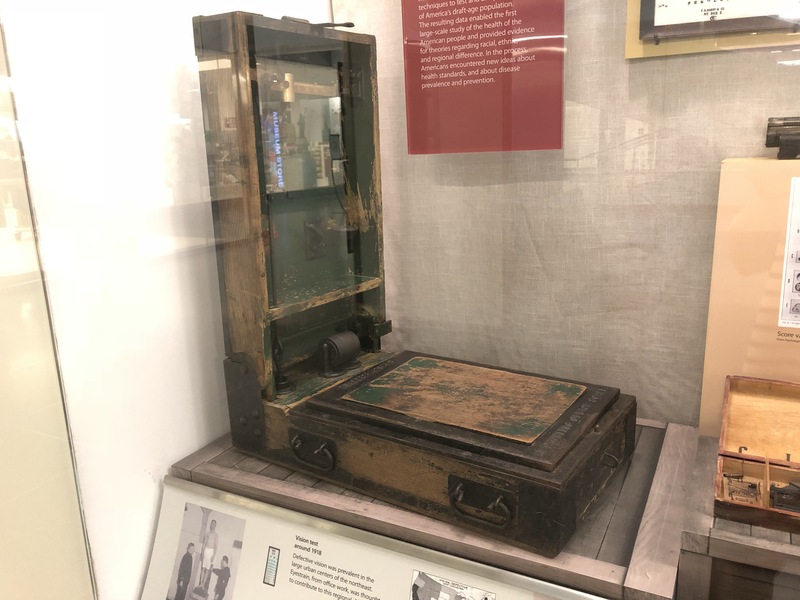 As doctors and medics were faced with widespread casualties and increasing pressure to deliver healthcare, new machines and techniques were founded that continue to be implemented today. In the first cabinet was a recruiting officer scale that was carried around recruitment centres to weigh prospective soldiers. You had to be of a certain weight to be deemed fit enough for service. 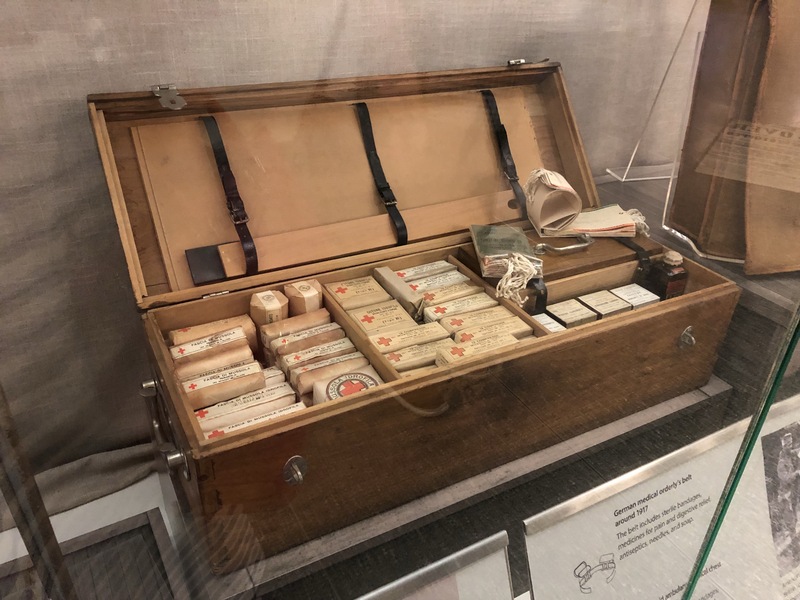 Moving along the display, other highlight objects included a women’s medical uniform, Italian first-aid ambulance medical chest and a Carnes artificial arm. It was curated well with easy to read labels and a modern looking display. Clear shelves were used to separate the smaller objects from the large so they didn’t get lost in the whole display. The permanent exhibition looked incredibly dated. As if it was installed about 30 years ago and completely forgotten. In some areas, paint was peeling off the wall which was not a good look. Especially considering the walls were similar to the National Museum of Australia, incredibly bright clashing colours giving a Kindergarten or Play School vibe. There was a real feeling of the objects being left behind. The collection is incredible, but, how it has been displayed does not do it justice. I was really shocked because last time we visited I didn’t really notice these things. Probably because I didn’t have a degree under my belt and because I was really focusing on what to see not how it had been displayed. I would love to see a refresh of the permanent exhibitions. Bring them into the 21st century! I’ve seen what can be achieved in the smaller temporary exhibitions and I think of how marvellous the whole museum would look if done in a similar style. 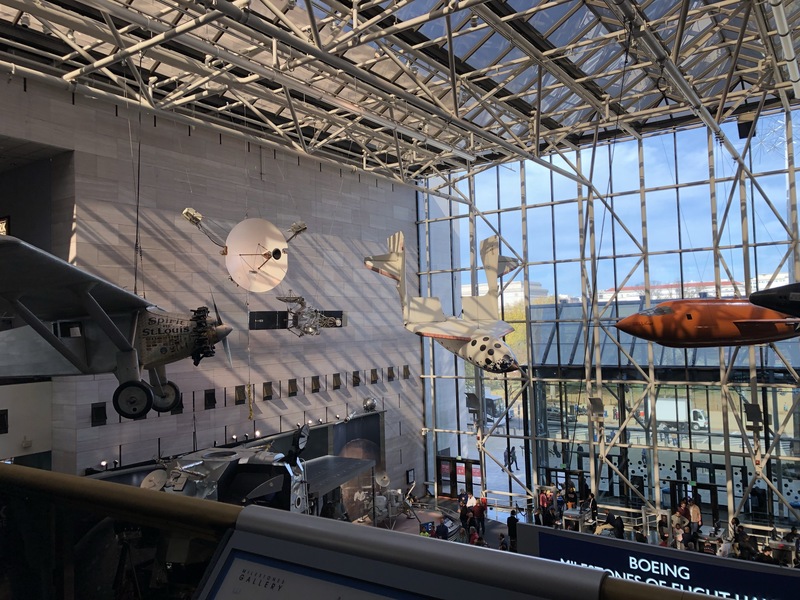 Moving on now to the Air and Space Museum. Similar to the American History Museum, we found some of the displays to be quite outdated. This was less of an issue here though because the size of the objects and the fact it was my first time visiting distracted me. On arrival, we had plans to go to the food court and decide how to best see the museum. The food court was closed for planned maintenance…on a Saturday. Probably not the best day to do this. So we found ourselves a little lost. Luckily an announcement was made for a highlights tour. We made our way back to the information desk where we met our volunteer guide. In large museums I always think a highlights tour is worthwhile. You can see a lot in a short time and you get a great feel for what’s on offer. Our guide, Jim O’Connor, was enthusiastic and clearly loved taking these tours. We were guided around both floors, stopping at the deemed “pivotal” pieces of the collection. In total the tour took around one and a half hours which I found to be just right. Out of all the objects, my favourite was the plane that belonged to Amelia Earhart. She was an incredible and record breaking pilot in the 1920s and 1930s. Achievements included being the first woman to fly solo across the Atlantic and the first woman to fly nonstop coast to coast of America. On her final around the world voyage, her plane went missing somewhere in the Pacific Ocean. It continues to be a mystery as to what exactly happened to Earhart. It can be safely assumed there was an accident, however, the details remain unknown. 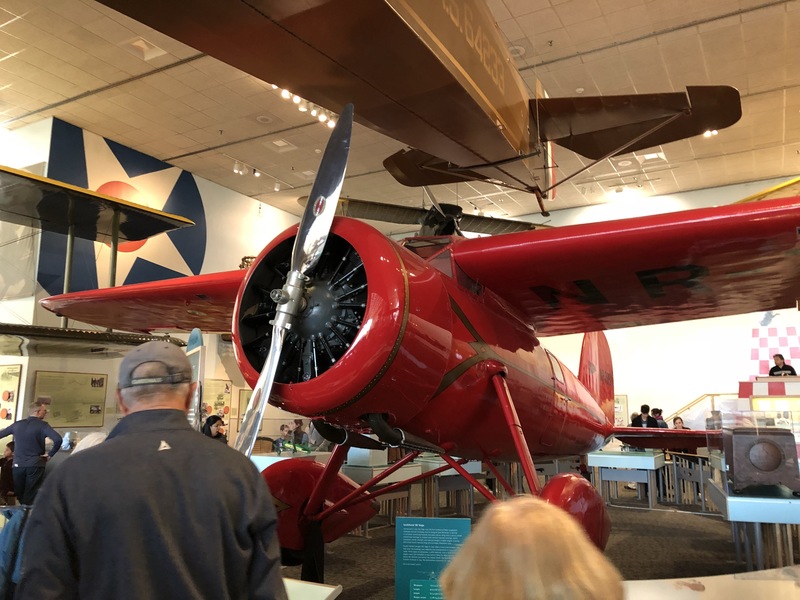 The plane on display was the one she flew coast to coast and across the Atlantic. It is a beautiful bright red plane that is mostly original. Next to the plane were some information panels about Earhart and her achievements. 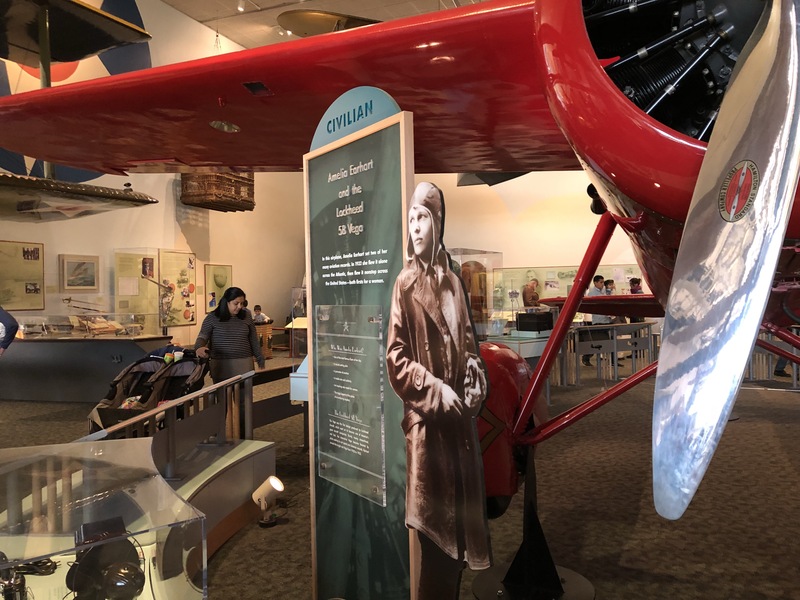 Seeing a female pilot so prominently featured in the exhibition filled me with joy. 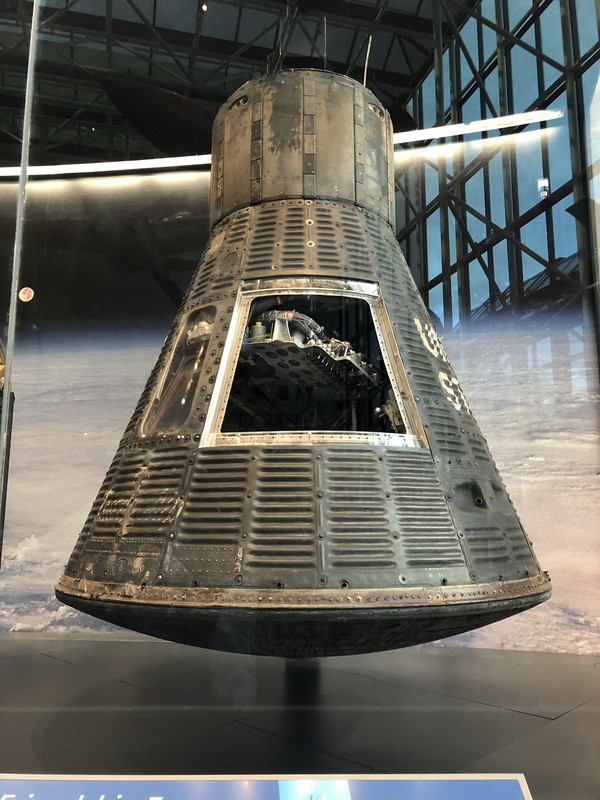 Another highlight object was the Friendship 7, a Mercury Spacecraft. Piloted by John Glenn, it orbited the earth three times in 1962. My claustrophobia set in when I saw the spacecraft. It was tiny. Sure it was designed to fit only one person, but, it was seriously small. I couldn’t imagine orbiting anything in that craft let alone landing in it! Other objects we saw included an original Wright Brothers plane and a Douglas DC-3. My fear of flying has been somewhat alleviated by seeing these early aircraft. 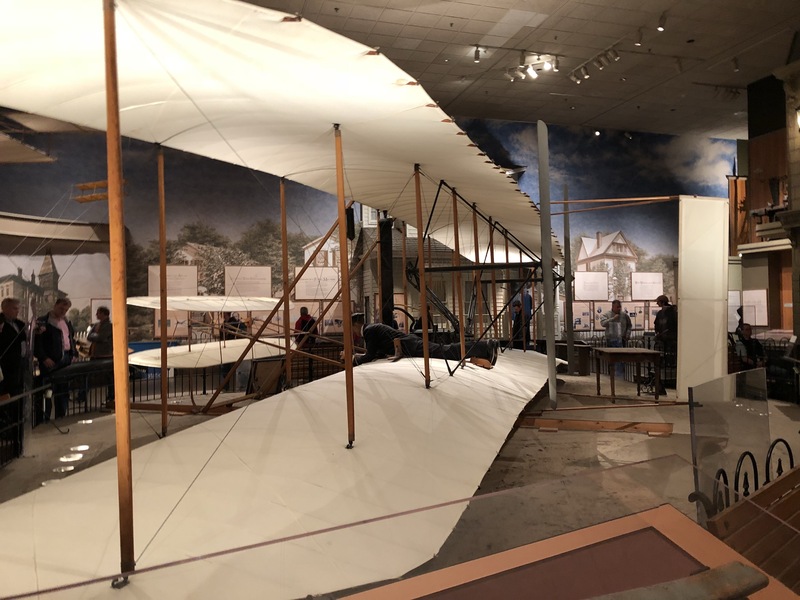 Considering it’s been just over 100 years since the Wright Brothers built their plane, the innovations have been unbelievable. 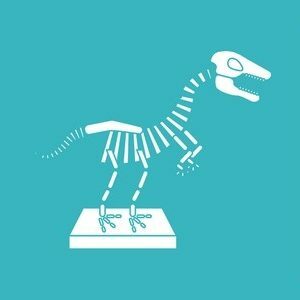 Despite some incredibly old labels and displays, I appreciated this museum because of how the larger objects were exhibited. You walk into the Main Hall and all you have to do is look up. It’s still an amazing feeling to walk into a museum and be filled with that sense of wonder. Out of all the Smithsonian Museums, this was the only one that really gave me that feeling. 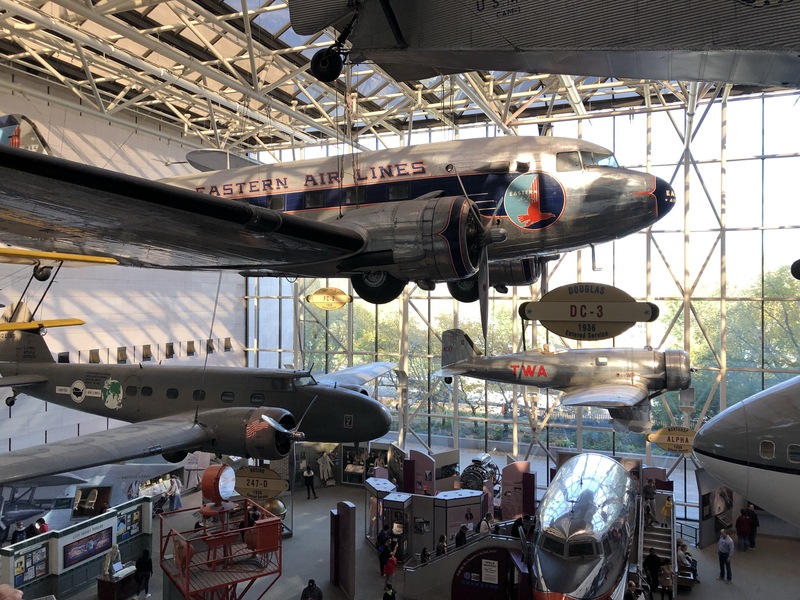 The African American History and Culture Museum was an educational experience, but, the Air and Space Museum was a chance to run around like a kid and imagine a world outside of our own.